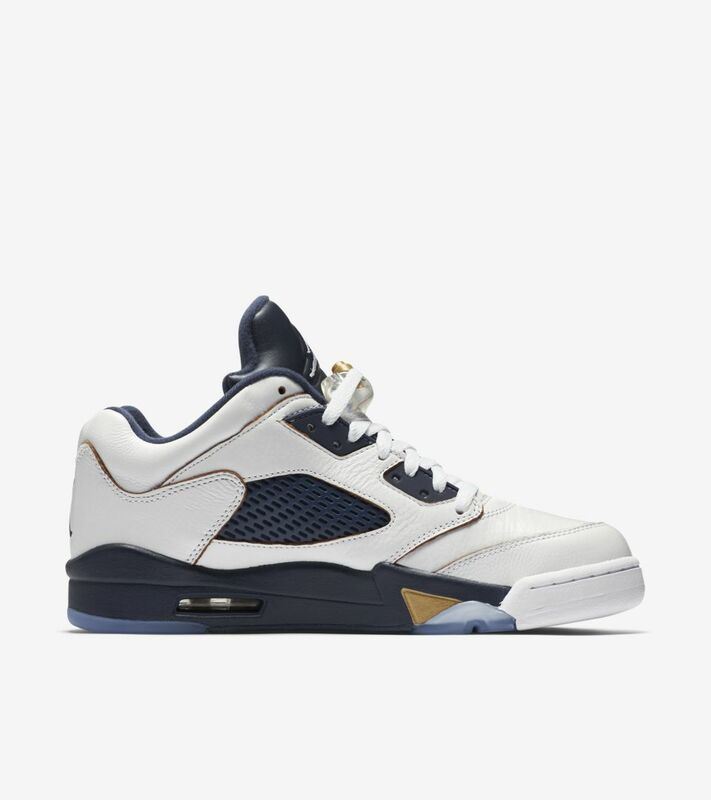 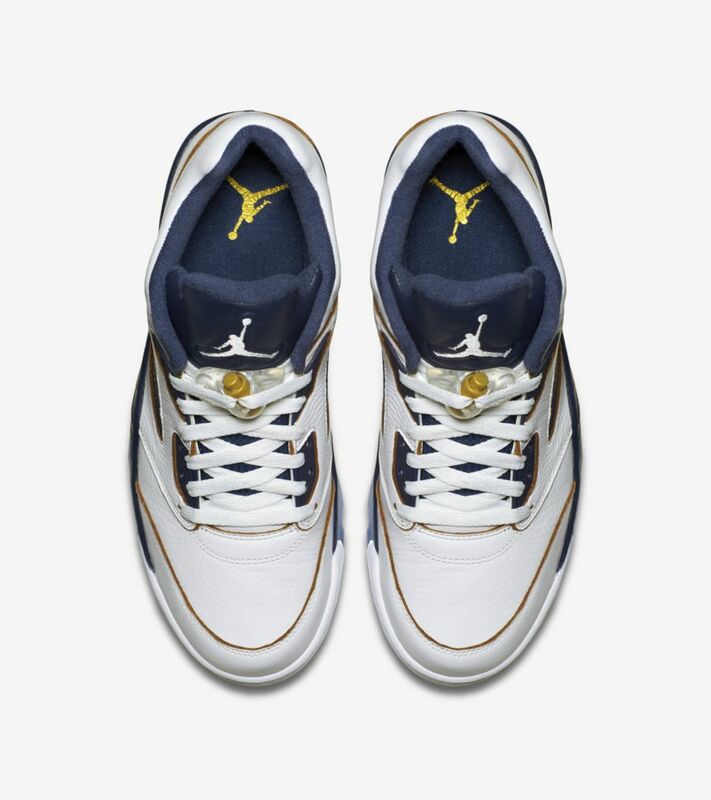 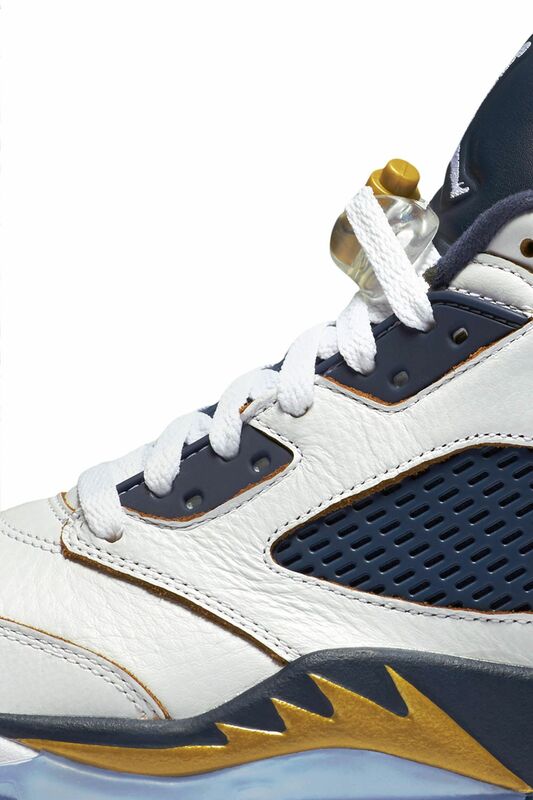 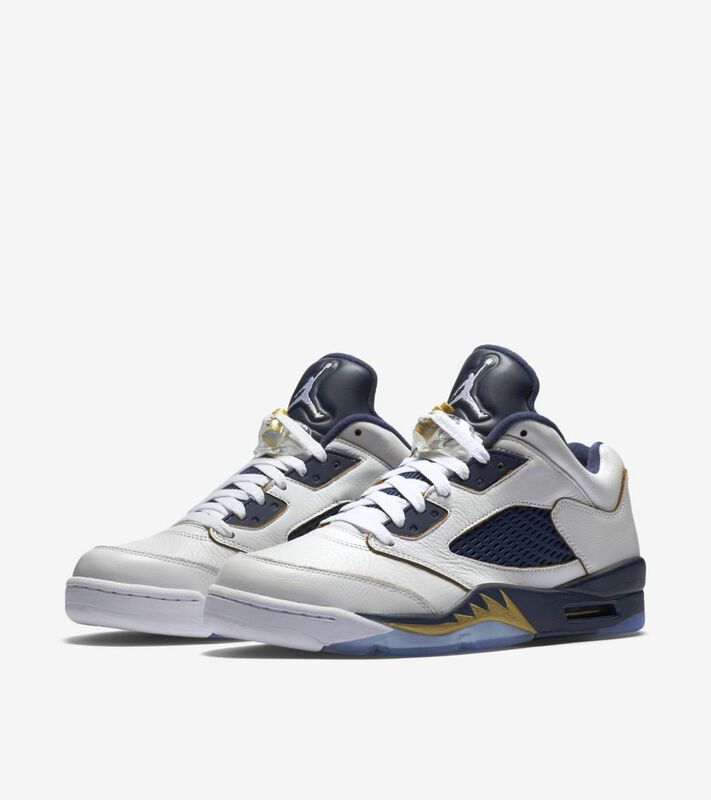 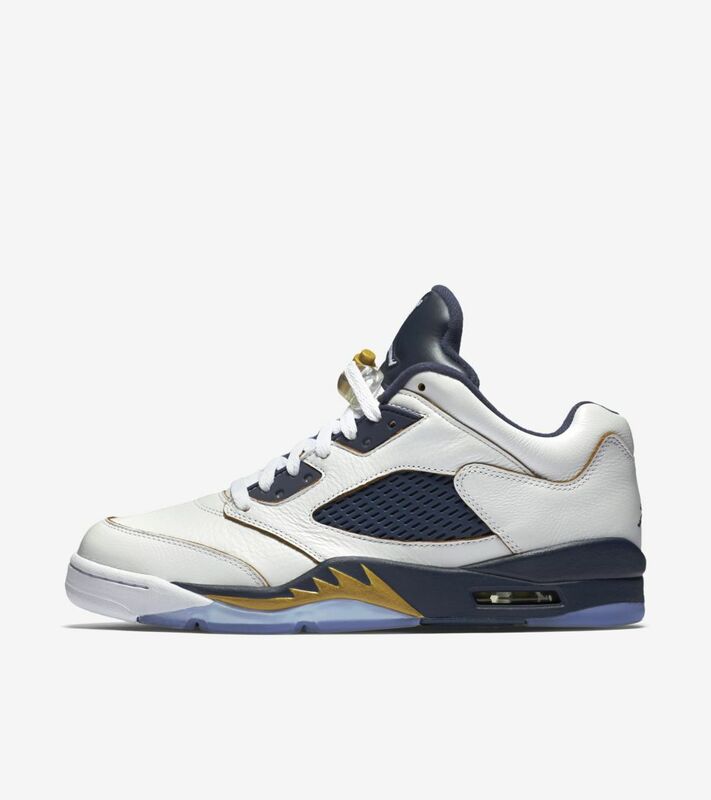 Air Jordan 5 Retro Low 'Dunk From Above' Release Date. 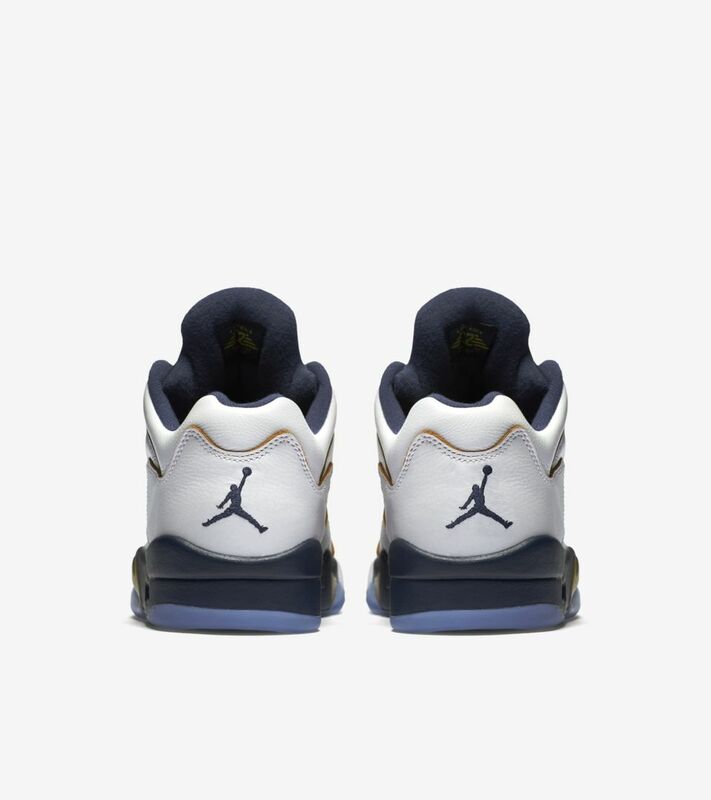 Inspired by His Airness’ ability to take flight, the new Air Jordan V Low borrows design cues from a World-war II fighter plane. 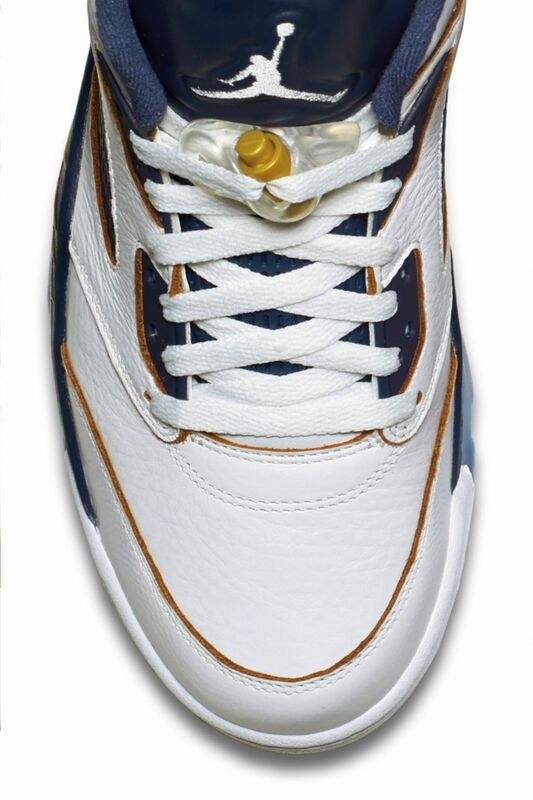 Constructed in white premium leather, the modernized shoe is ignited with hits of midnight navy and metallic gold. 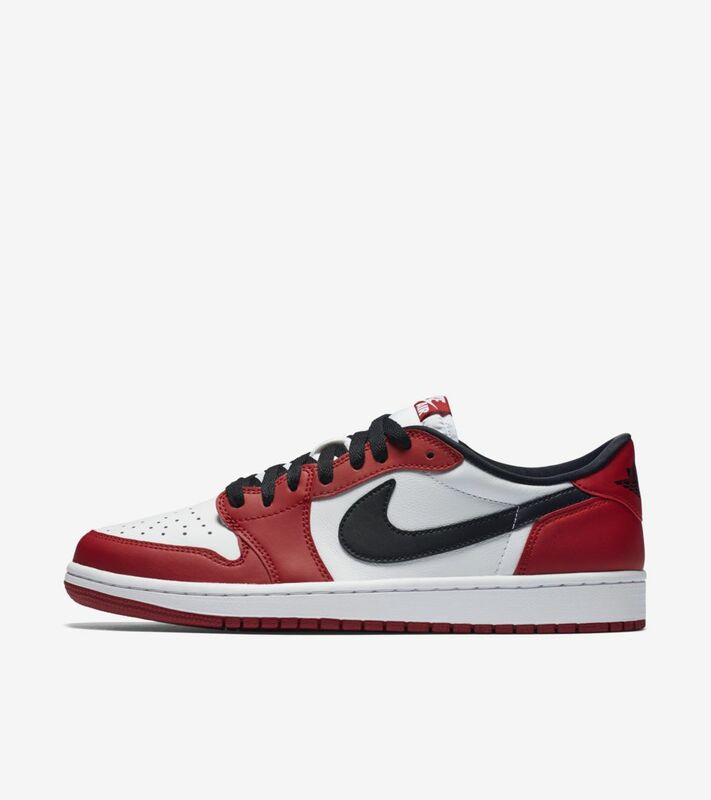 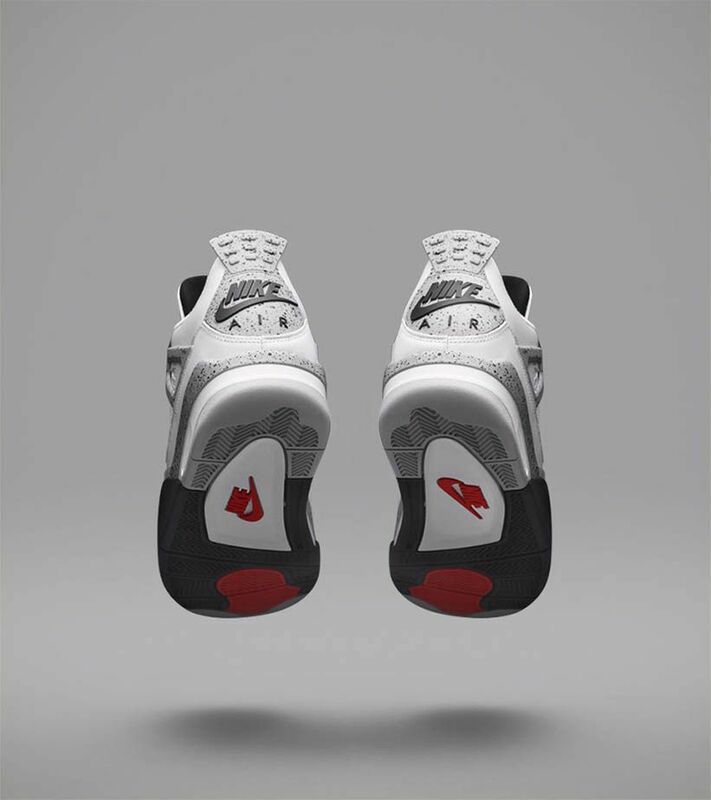 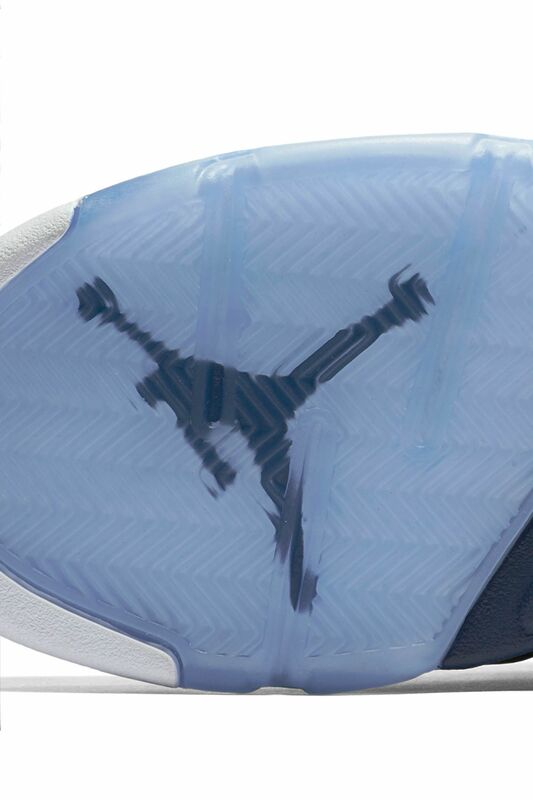 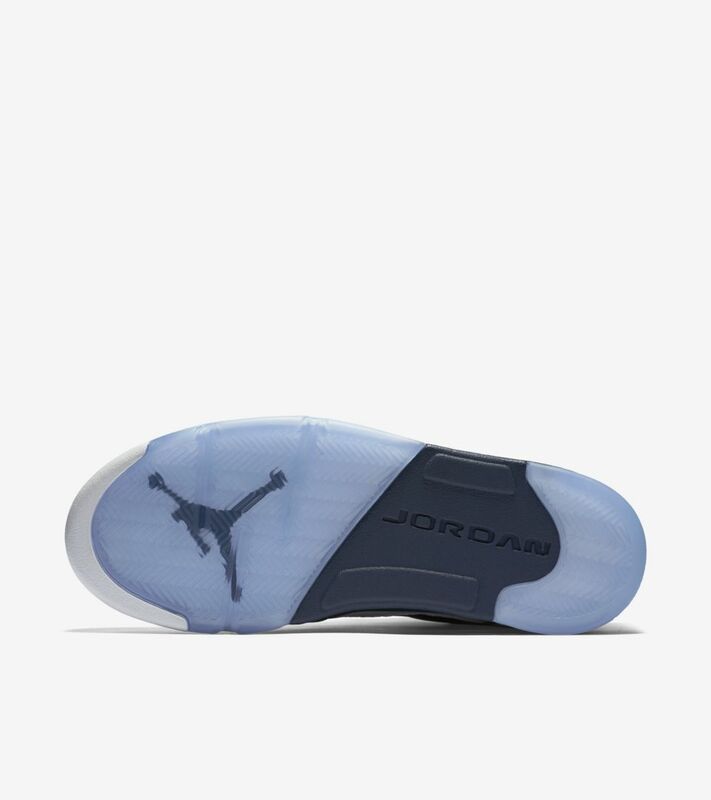 A special logo on the inner tongue further celebrates MJ’s gift of flight.